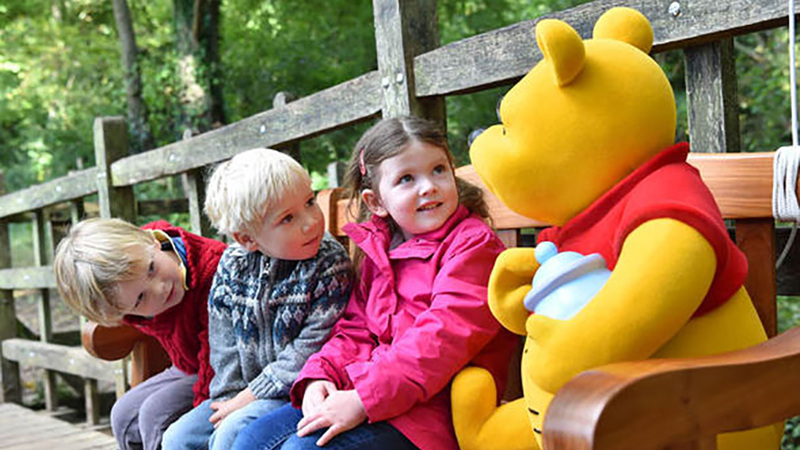 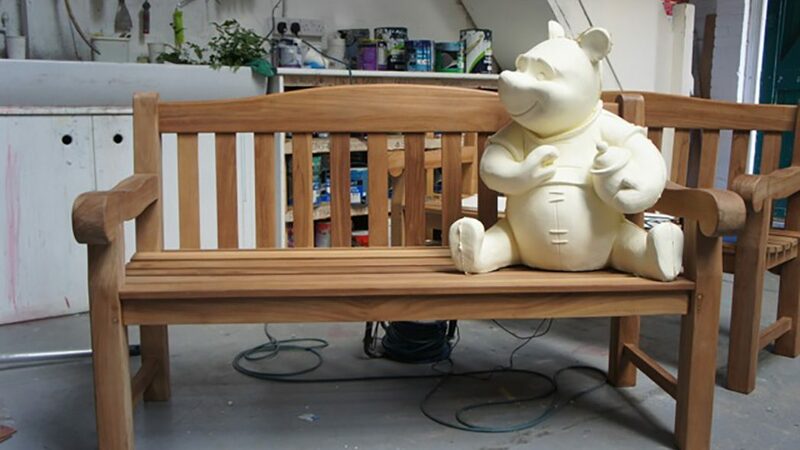 To celebrate Winnie the Pooh’s 90th birthday we created an interactive bench for Shine. 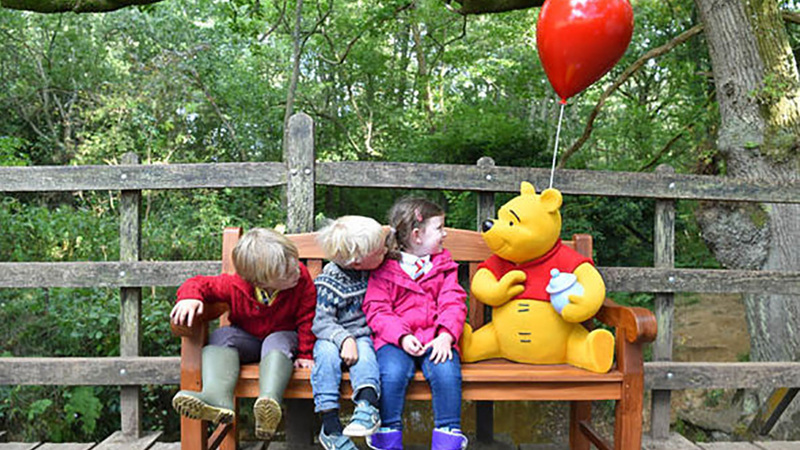 Starting off at the iconic Pooh Sticks bridge in the 100 Acre Wood. 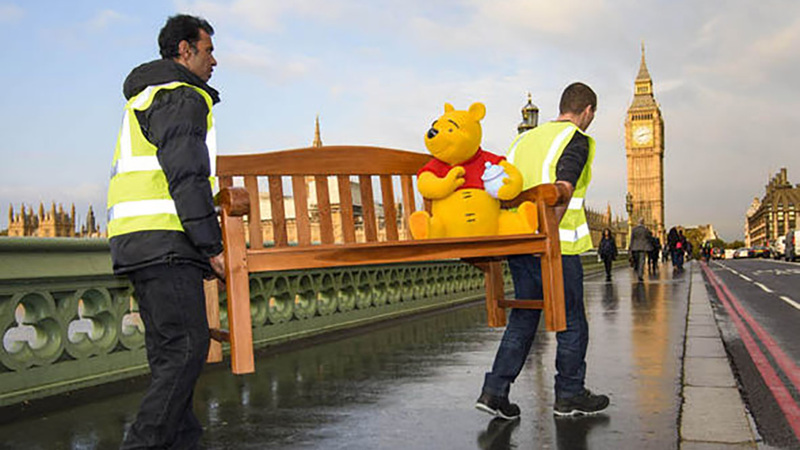 He visited various locations the UK, Netherlands and Israel. 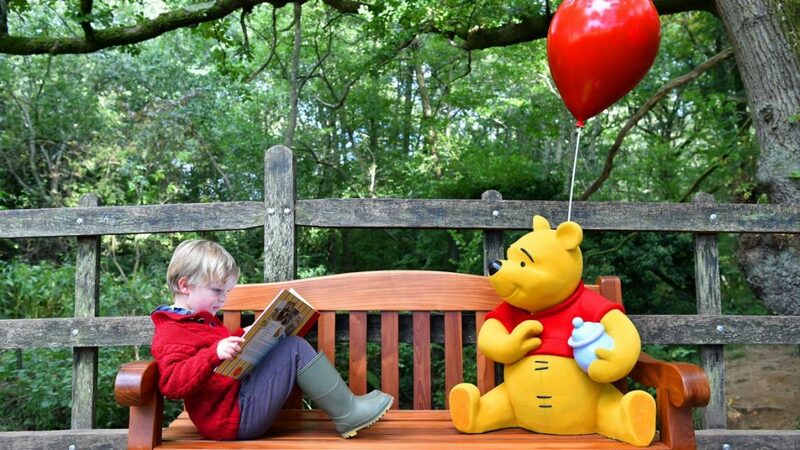 The bench had a built-in sensor to trigger at random, one of Pooh’s many philosophical quotes.